Anyone who has spent time in the business world often has at least one bad experience to share. Even in global corporations, with sufficient access to resources, less than positive experiences can occur. After I experienced one such situation during an offsite meeting that didn’t go as planned, the company quickly brought in a skilled coach to help re-establish team trust. One by one, each team member was called in to debrief the experience and sort through respective emotional responses. What I most remember and greatly appreciate was how effective the coach was at moving us quickly through the difficulty. More specifically, I remember the process she suggested to me for separating from my empathic tendencies during an emotionally charged situation. She didn’t have a name for it, so I refer to it as the Golden Scissors process. Highly effective, I’ve used it more than once to disconnect when something doesn’t feel good energetically. I’ve also shared it with many clients who have reported great success applying it. When you are in a situation where you feel uncomfortable, imagine that you remove yourself from your body and drift up to the far corner of the room. Watch the scene from above, without attachment to the people, the words, and the interactions. You are there, but you are not there. The coach further suggested that if the negative emotions remain, imagine pulling out a pair of golden scissors to magically cut the energetic threads connecting you to the people and the experience. The stronger the negative connection, the bigger the scissors. Let’s just say that over the years, I’ve yielded some mighty big golden scissors. Before you dismiss this exercise as too foo-foo, let me tell you that this happened in a global company with more than 100,000 employees. Yes, even corporate bigwigs (and HR) understand that sometimes miracles require out-of-the-box applications. This story underscores the importance of careful consideration when planning team activities — especially with new practices around behavior modification and employee feedback. Many specialized behavioral and feedback activities require a skilled, impartial facilitator to manage the process and ensure healthy employee engagement. Team dynamics are critical for business success, not to mention employee mental and emotional health and happiness. Happy workers make productive employees. 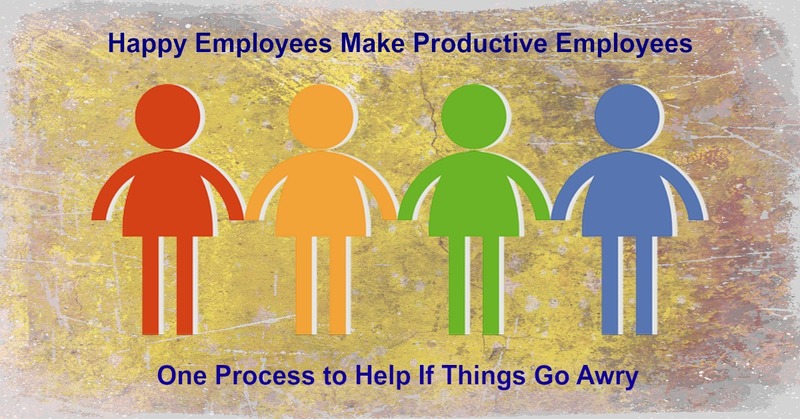 Productive employees make great teammates. The idea is to stay engaged with your work and your teammates. However, on the off chance that a team meeting goes awry, you’ll have a tried and true process for staying emotionally safe.